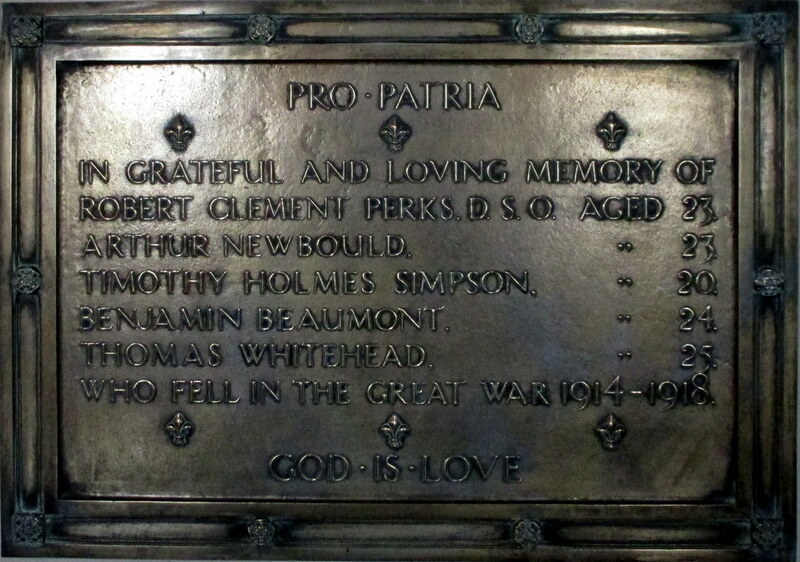 St. Peter's Church has a brass bronzed memorial plaque fastened to the north wall listing some of the men who died in the Great War, and a framed hand-written memorial Role of Honour which lists the men who served in the Great War is held in the Ibbotson Institute - the village hall. The following seventeen men associated with Hebden fell in the First World War. The main source of this section has been the "Craven’s Part in the Great War" website, and clicking on a name takes you to the soldier's detailed entry on that website. The last two columns indicate whether the name appears on a bronze memorial plaque in St. Peter's church, and/or on a Roll of Honour held in the Ibbotson Institute. An individual's connection to Hebden is not always clear in a number of cases. It is worth noting that all three Hoyle brothers who were living in Chapel Lane in 1891 lost their lives, and that eight of the seventeen men have no known burial. 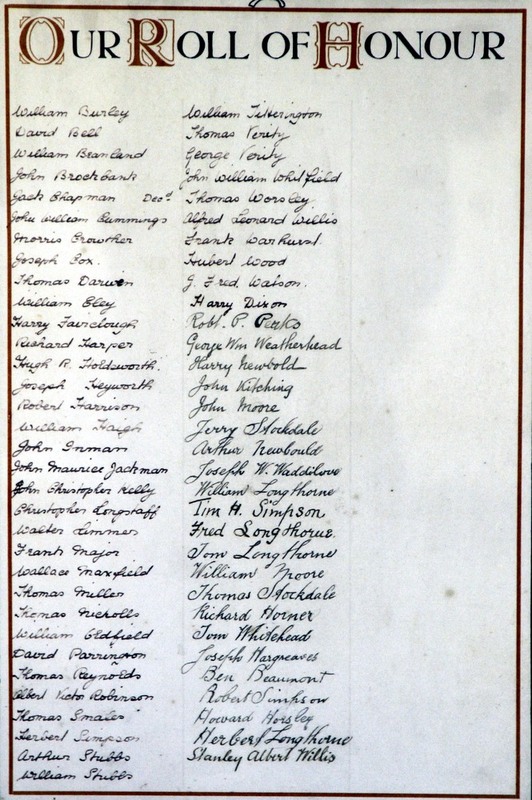 There is a hand-written framed document kept in the Ibbotson Institute recording the names of those associated with Hebden who served in the Great War. The names below are transcribed in alphabetic order rather the the order in which they appear on the document. 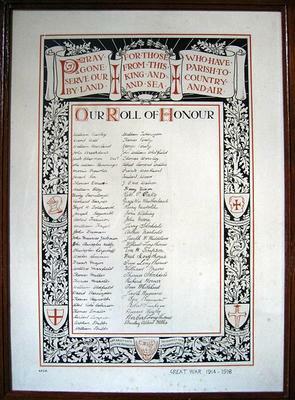 World War 1 Role of Honour in the Ibbotson Institute, Hebden. 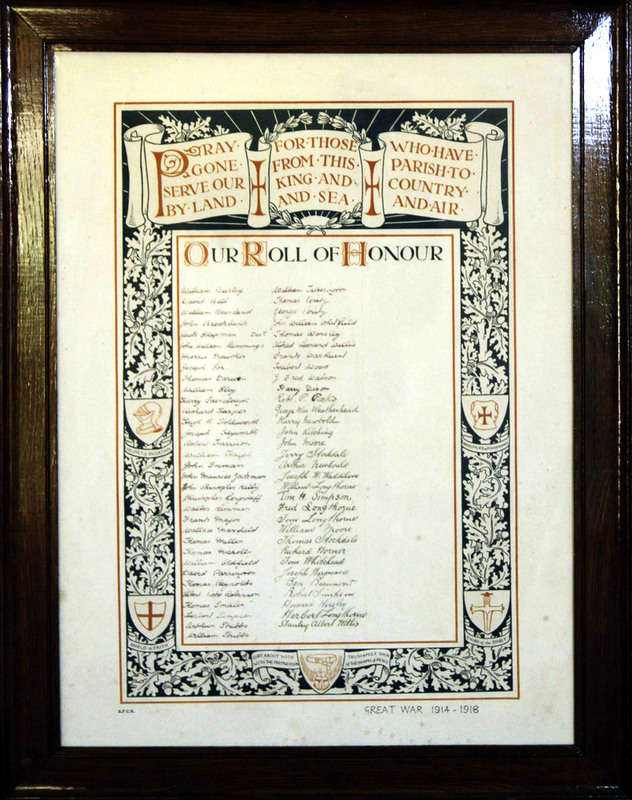 Detail of the World War 1 Role of Honour in the Ibbotson Institute, Hebden. There is a memorial in the churchyard inscribed "Happy Memories / of / GEORGE DAWSON / MAJOR LEWIS DAWSON K.S.O.B. / KILLED IN ACTION / AND JANE DAWSON / R I P". Born in 1883, he came from Potter Newton in Leeds, but his sister Violet was living with her aunt Jane Dawson at High Dene in Hebden at the time. George Dawson was Lewis's and Violet's father and Jane's brother, and he died in the area in 1907. Violet continued to live at High Dene after Jane's death in 1929, and eventually died in Grassington in 1973. The memorial was erected after Jane's death, with the intervening years probably accounting for the discrepancy between Lewis Dawson's actual and inscribed rank. It fell into a state of disrepair, but was renovated by the family in 2018. There is further information on the CPGW website.